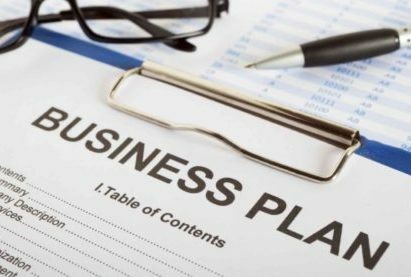 Understanding Business Plans – Your First Test as an Entrepreneur | ShoreWest Capital Corp. Many crucial reports, surveys and experts have discovered various major difficulties which entrepreneurs face across the world. One of the major reports named Global Entrepreneurial Monitor’s (GEM) report 2013-2014 has attempted to cover each region in the world encompassing 70 economies be they developing or developed. One of the key finding of this report was that, vast majority of nascent entrepreneurs also known as early stage entrepreneurs fail in their business. What these nascent entrepreneurs don’t understand is that- starting and keeping a business starts with a plan. Before you decide to invest your money or borrow money for the business, you have to stop everything, and start to think about the plan. If you can’t think about an appropriate plan, you can take help from an experienced businessman or even initiate to talk to a business consultant. Make sure that you take advise from a small business consultant, if you hire a large business consultant they will sell you huge unrealistic ideas which will lead you to no-where. Every business owner should know the importance of planning. The way your business is planned from the outset must be the right way. A poor plan will do nothing but waste your money and time. A poor plan often results in insolvency. It is true that an idea can change your life. A good idea leads to a successful business, whereas a bad idea can lead to insolvency. A start up should be able to write down on a paper what he wants to do. In short, no concept no business. An entrepreneur should be able to formulate a new innovative idea that draws people attention to it. He should do his homework and search every possible thing about the concept that he has come up with. After all the work is done, he should test the views of his family, friends and close relatives. Take their feedback and work upon it. Next step is formulating an intelligent business strategy. A good business strategy will clearly demarcate the future, purpose and ultimate goal of business. It will be the ultimate force that will drive everything you are doing or will do in the business. The legal status of the company is important as it will determine your standing in the courts in terms of the appropriate acts that you are bound to comply with taxation authorities, banks, financial institutions and other stakeholders. Most important thing that you need to keep in mind is that you have to lead your business lawfully. Hence you have no other option but to follow the rules and procedure of the superior authority. You are subjected to legal environment irrespective of whether you have a small business or large business. With the passage of time if you become bigger and are making money as a listed company you will be taking care of corporate governance, risk and compliance structures and policies. Describe the development cycle your business finds itself in. Many new entrepreneurs want to run their business at the time when they can’t even crawl. You have to play smart and keep in mind that every business revolves around a business cycle very similar to us life of human beings. From the very beginning you have to do your work on the potential challenges you will be facing later in the operation of the business. Age of your business and its history is closely related to your company’s business cycle. A smart entrepreneur knows the strengths, weaknesses, opportunities and risks of its business. If some of the problems are foreseeable, then he should take every measure in his capacity to prevent that problem so as to ensure smooth working of the business. Detailed description of material things. Products/services- what the business will be offering. Market- where the products/services will be offered and who will be offering. Customer or clients- fulfilling the customers need. Marketing and sales plan- promotional activities, price, distribution etc. Competition- who is the competition, where is it located, etc. Staff and management team-qualification and experience of the people in your business. Draft a financial plan around the pieces of puzzle. Lastly, you have to draft a financial plan comprising of balance sheet, income and expenditure sheet and cash flow sheet. Financial plan are very part of the business plan. It will involve a lot of time to draft your first business plan. So you have to be prepared for hard work. Your business plans will keep changing with the dynamic business environment. How Shore West Capital can help entrepreneurs obtain financing for their start up business. Free incorporation and advise – ShoreWest Capital Corp.